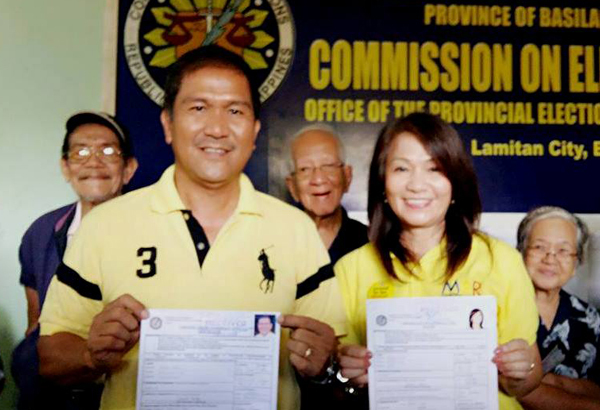 ARMM registered a suspicious spike in 2015 voter registrations. Now, who benefits from this anomaly? Rappler reported Wednesday a 27% increase in ARMM’s voting population or over five times the national average, despite 2012 general voters’ list cleanup. From 1,468,584 registered voters in the 2013 elections, ARMM now has 1,863,230 registered voters for 2016, an increase of 394,626 voters or 26.87% . ARMM’s increase accounts for 16.8% of the nationwide total increase of 2,348,681 voters. This is despite ARMM containing only 4% of the nationwide population. Per PSA statistics, ARMM’s total population is just 4 million while the nationwide total is 103 million. These skewed numbers suggest that ARMM’s population is rapidly maturing. That is, despite the low population, more people are reaching legal voting age. However, statistics show that ARMM posts one of the highest birth rates in the country, suggesting the contrary. Historically, ARMM posts suspiciously large spikes in total voting population every election season. In 2007 and in 2010, the ARMM posted twice the national average population growth rate, according to a 2010 report from the Philippine Center for Investigative Journalism or PCIJ. Who benefits from this ARMM population anomaly? ARMM Regional Gov. 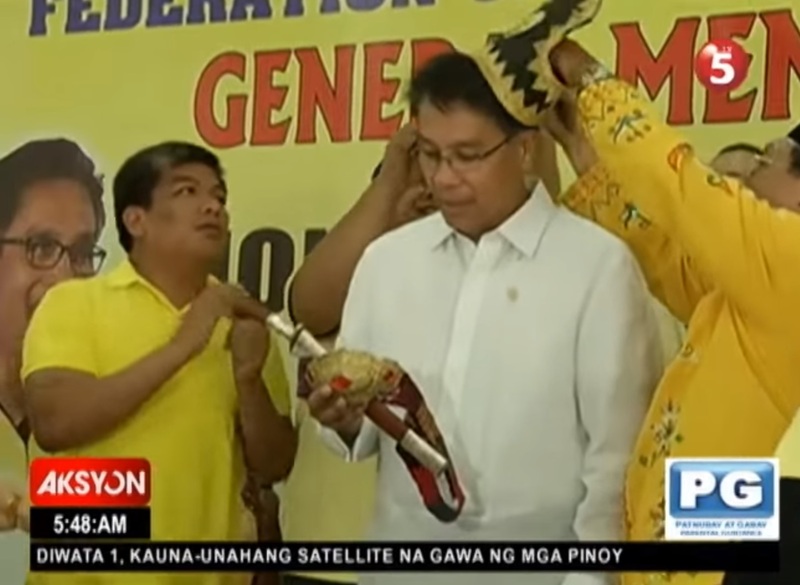 Mujiv Hataman is a known ally of the ruling Liberal Party (LP), headed by presidential candidate Manuel “Mar” Roxas II. Regional vice-governor Haroun Al-Rashid Lucman is also from LP [Philstar]. 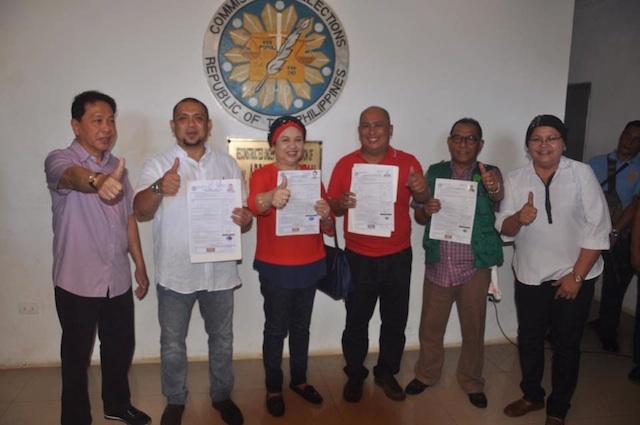 Aside from ARMM’s top leaders, almost all of the more than 100 mayors in the ARMM provinces, Maguindanao, Lanao del Sur, Basilan, Sulu and Tawi-Tawi, are LP members [Philstar]. Moreover, the Liberal Party has the highest number of members from ARMM-based political dynasties. There are 47 known ARMM politicians from political dynasties, 26 of which are LP allies. [Rappler]. Lanao del Sur is also a bulwark for the Liberal Party, where incumbent governor Mamintal Alonto-Adiong belongs [Manila Times]. In January, Gov. Adiong allegedly forced school officials to attend Mar Roxas’ event [Philstar]. Just last week, tension gripped a Lanao del Sur town hall after suspended Balabagan Mayor Edna Ogka-Benito (Liberal Party) was reinstated despite pending corruption charges [Manila Times]. Basilan Governor Jum Jainudin Akbar is also from the Liberal Party. 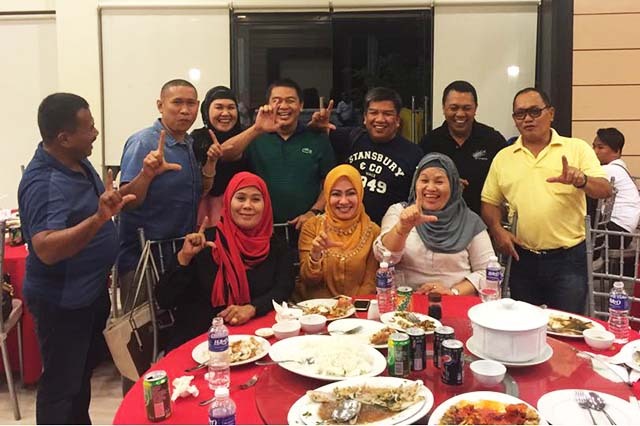 Most, if not all, of Basilan’s mayors are also allied with LP. (L to R): Vice Governor Abdusakur M. Tan,, his son Abdusakur Tan II, the governor of Sulu; his wife Hja. Nurunisah A. Tan; former Rep. Munir Arbison, Rep.. Habib Tupay Loong, Rep. Maryam Arbison. Photo from the FB account of the Province of Sulu. 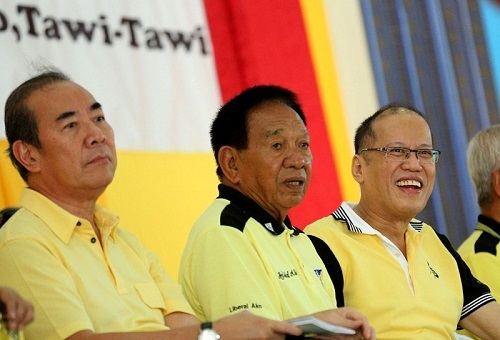 Tawi-tawi governor Nurbert Sahali and vice-governor Tati Ahaja are also LP allies. The congressman from its lone district, Ruby Sahali-Tan, is also an LP ally. Nurber and Ruby belong to the Sahali political dynasty whose patriarch is former governor Sadikul Sahali [Malacanang]. President Benigno S. Aquino III shares a light moment with DPWH Secretary Rogelio Singson and Former Tawi-Tawi Governor Sadikul Sahali. So who benefits from this anomalous spike in ARMM voter registration? Kailangan ba pa bang i-memorize 'yan?